…patiently waiting for something new to come along. However, as well documented elsewhere – that’s going to be a wee while longer. The music can wait – the health and wellbeing of band members is far more important. 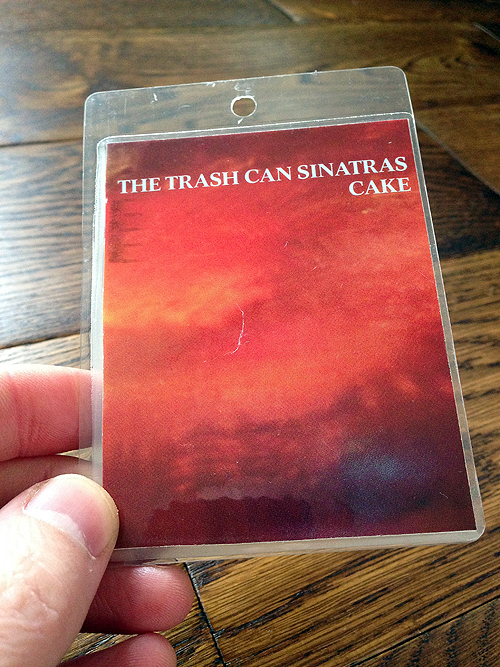 I came across this backstage pass from the Cake era. I’ve no idea of the where, when and whatnots but it’s a cool wee piece of memorabilia all the same. 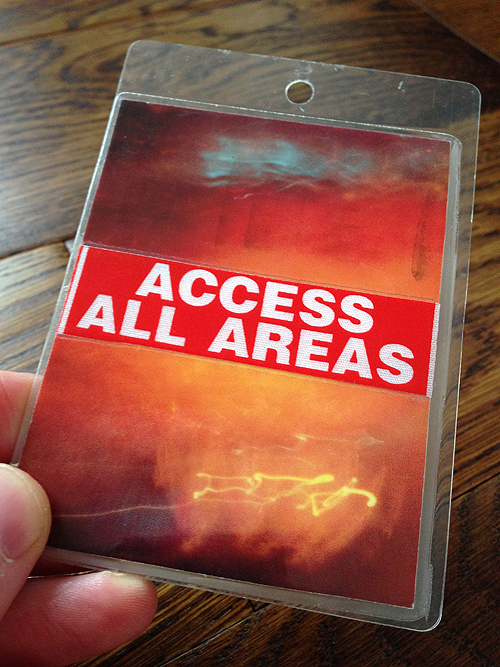 If you’ve never been lucky enough to get your hands on one of these – you could always use the trademan’s entrance. Haha brilliant! Cheers for the info Iain.